Since the ages, India has been known as a pioneer in healthcare. Be it earlier surgical techniques or yoga, India is home to various inventions in the healthcare domain. However, in recent times, India has seen several downsides in the domain. There could be several reasons behind this downturn like increasing population, lack of funds, poor per capita income, lesser awareness, and other factors. All these make a combined effect on overall healthcare output. Because of several new things happening in the sector, some kind of transformation seems to be taking place. One of them is air ambulance services. Yes, today, one can easily avail air ambulance services in a much affordable and effective way. 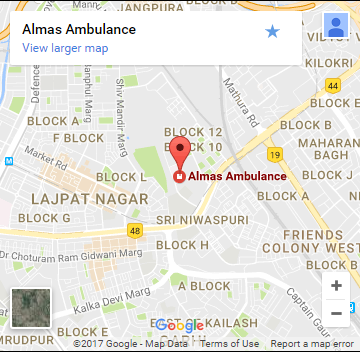 No matter in which part of the nation you’re located, there is an increased likelihood that you can choose to transport a patient in the most comfortable and fastest way with air ambulance services in Patna. There are many ambulance operators in the country that provide nation-wide patient transportation services. These operators boast of an expansive fleet of chartered planes, commercial airplanes, trains, and road vehicles that ensure fastest and safest transportation of patients. The air ambulance has its roots in the battles of the 20th century and has only become recognized in civilian practice over the last 20 years. The first helicopter air ambulance service in the UK was set up in Cornwall in 1987. Today, there are 17 services catering to most of the UK, all but one of which (Scotland) remain charity subsidized. The deployment, funding, efficacy, and overall cost-effectiveness of the air ambulance in this country remain antagonistic issues. Similarly, India has seen its air ambulance services on an office note in recent times. Earlier, it was only available in the metro cities but today one can easily opt in the regional level like Patna, Hyderabad, Nagpur, Pune, and others. These services are affordable, trustworthy and most importantly do the job they are actually meant to. Be it a scheduled patient transfer or an emergency patient transfer, there is no doubt that these services are absolute matches in all aspects of healthcare delivery. In most of the cases where train ambulance services in Ranchi were availed, the response is awesome. So, it can be said that the present and future of this healthcare service is bright and not gloomy.